First they made it easy to find every cute cat picture on the internet, then they gave us a way to easily send cute cats pictures to our family and friends, then they gave us a platform to post funny cat videos, and now... a way to do all of that at lightning fast speeds with Chrome! 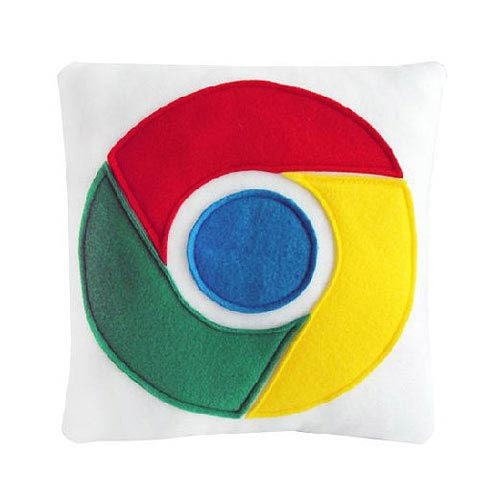 This Google Chrome Logo Pillow features the Google Chrome internet browser logo and is is made from soft fleece with fluffy polyester filling. Measures 12-inches square.